The new bike has arrived. 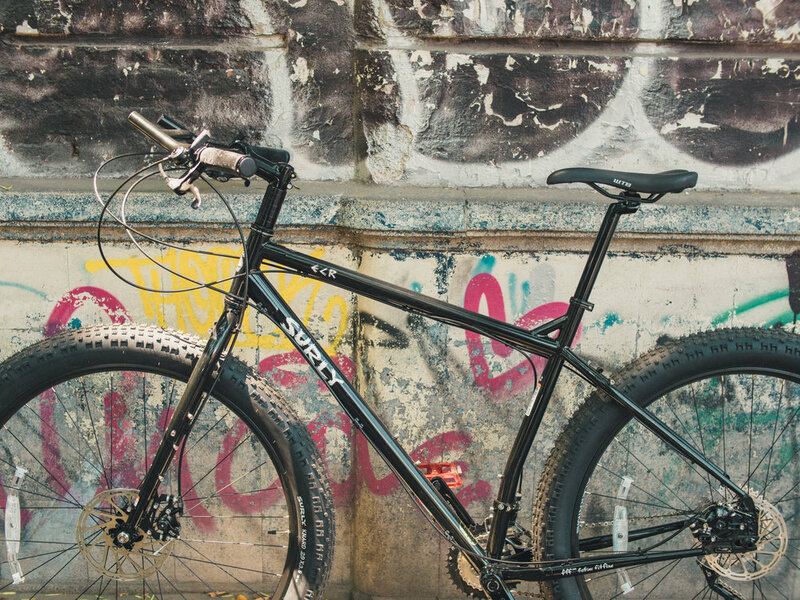 Surly sponsored me with the new Surly ECR. This is the complete 2017 version, which has small differences to the previous ECR. It’s also available as a frame only - more specs you can find on their website. Right away it feels like a very solid and comfortable bike. Almost everything is made out of steel, which gives it a beautiful consistent look, including the handlebar which is very comfortable. However, I will replace this because it’s difficult to fit my bag on and I’m touching car mirrors in traffic because it is that wide. Also the saddle will be replaced to a leather seat, but everything else will remain original. The donated mountain bike from my generous friend Pipe was really nice, but a size too small for me. It hurted my back on a longer ride. It also didn’t have all the attachment points for cages and racks which makes it a challenge to properly attach the luggage and racks onto it. I'm really happy a proper solution has now arrived and I can start building up the bike.